Part of the fun of multiplayer games is having access to your own hosting server. That lets you control the guest list and customize play options to suit your group. 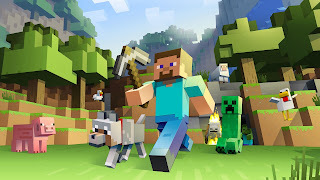 That’s especially true when you’re playing Minecraft, the hugely popular sandbox where players can build and explore a town, a spaceship or a new world. So, where can you find a Minecraft hosting service? I would make the CompareGameHosting website your first stop. The site collects, organizes and rates more than 20 different hosting services that offer space and support for Minecraft. The site’s database lists the countries where the hosts are based plus pricing for packages and per 128MB of space. It also lists available features such as mods, DDOS protection and support services and it has reviews posted by players who use the various services. Search the full database at the CompareGameHosting website and follow the chatter on its Facebook page. Bluehost is ultimately one of the best website hosting provider for any hosting plans you need.